On Tuesday morning, we had planned to start the day with breakfast and shenanigans at Whispering Canyon Cafe. After eating, we'd explore the Wilderness Lodge a bit before taking a boat to the Magic Kingdom. Well, as I've mentioned before this trip didn't go according to plan. Tink was certainly too sick to go anywhere. I called our nurse line a couple of times and they advised me to push fluids and have her seen by that evening if she didn't improve. Aunt Amy took Minnie to the Hospitality House where they had breakfast, did some laundry for me and had a good time in Community Hall coloring and watching movies. After this trial run, they headed off to Magic Kingdom for the day to meet up with Ridge and Shelley Caran and her daughter. Thankfully, Amy and Minnie had a fantastic day and I was grateful that Minnie was in good hands. After a couple of hours of keeping down sips of powerade and perking up a bit, I was sure Tink was on the mend and I mentally started making plans to take Uncle Chris up on his offer to sit with her and let me get out of the room for dinner, even if it was just a quick meal at the resort. I'd only had things on white bread for about 24 hours and hadn't left our room. About 4:00 Tink woke up from her nap and it became evident it was time to get her to medical care. Chris (Ridge) was thankfully in town on a completely unrelated trip and had a car. Shelley loaned us a booster seat and we went to Centracare. This is the urgent care center located very near Downtown Disney on 535. Once we walked in, we were advised it was going to be at least a 3 hour wait and that if she needed IV fluids, they couldn't help us. I called back to the nurse line (a fab benefit with our health insurance) and was advised to take her to the emergency room. Thankfully, Celebration Health was in network. Let me just stop and say a big thank you to my younger brother and my honorary sister for their help on this day. Chris was a tremendous help and a huge comfort as we tried to take care of my sick little girl. It was also reassuring that I didn't have to worry about Minnie, knowing she was safe and happy. The Cast Members at Old Key West were also very helpful, bringing out fresh linens and taking away the soiled ones. Everyone I spoke with said to let them know if we needed anything else, which was very kind. I just wish the folks on the phone had not been required to end the call with "have a magical day." There is nothing magical about a vomiting three year old. The wait at the Celebration Health ER also turned out to be about three hours. Chris had brought Tink a plush baby doll Tinkerbell to snuggle and Shelley had rounded up crayons and coloring sheets from the lobby at the Polynesian. I also tried letting her watch movies but ultimately I had a sick little girl who didn't feel like doing anything. My kids have been very healthy, knock on wood, so I don't have much experience seeing either of them look so pitiful. Once we were escorted to a treatment room and the Disney Channel was turned on, things got better. We saw the doctor, our nurse brought medicine, and Tink took a nap. 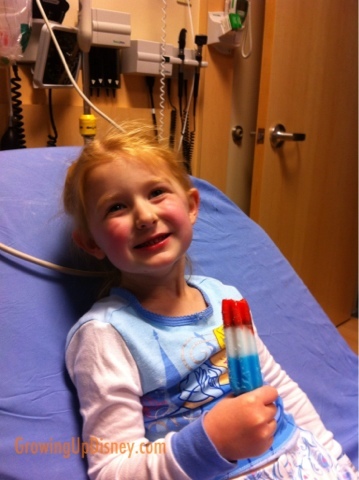 She woke up to a fancy Popsicle and some apple juice, both of which she quickly consumed and most importantly, kept down. After several episodes of Jesse and Good Luck Charlie, we finally got out of there for the night near midnight. We drove through at McDonald's as it was just about the only place open. Tink had paid attention to the doctor at least well enough to know he said she could have ice cream, not that she stayed awake for more than a few spoonfuls. The nurse had recommended using Turner Drug since they deliver to the Disney resorts and other area hotels but they don't take any insurance. Chris was going shopping for us the next morning anyway so he got Tink's medicine at Target. 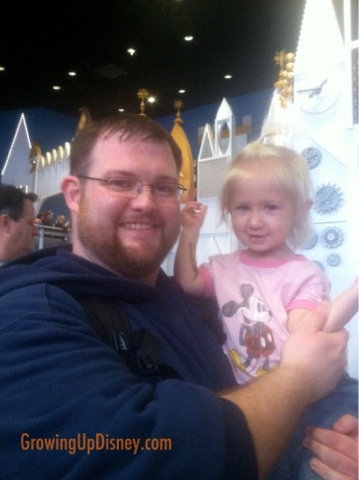 He was also there to get more reasonably priced powerade, Tink's requested strawberries and new shoes for Minnie since she had lost one while at Magic Kingdom with Amy S.
Once I finally got in bed for the night, I kept waking up to check on the girls. If you call the front desk or housekeeping at a Disney resort regarding a sick member of your party, you will likely be referred to the CentraCare location I described above. It is the closest to Disney property and offers a shuttle in case you don't have a car. Or, as I was told, if she gets sick, it's not on your car. Well, this isn't the only location in the area and if you do have a car available, call the other ones nearby to see if the waits are any shorter. While I was talking to the nurse line, I had my brother call the Kissimmee location and it would have considerably less wait time. 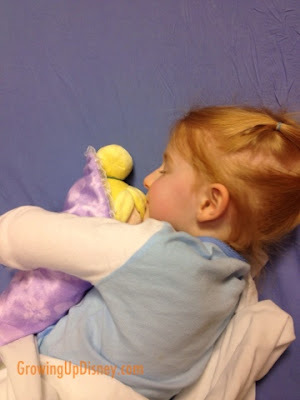 In retrospect, the other CentraCare location probably could have helped Tink sooner but at the time it seemed most prudent to go wherever could offer complete care, in this case, the emergency room. Unlike Cinderella, our missing shoe has not been found. Items found around the theme parks, water parks, Downtown Disney shopping and dining, and bus transportation to any of the above are turned in to a central location. If you can't find a lost item in the immediate area where it was last seen, check with Lost and Found beginning the following day. Call 407-824-4245 for Theme Park Lost and Found. You'll need the date and location where the item was lost and be prepared to offer a detailed description. Sorry to hear that you had such a stressful day while on vacation but so glad you had help and she got better so quickly! Glad to hear your little girl is getting better. Thankgoodness for family and great friends. oh my what an adventure. I;m sorry it sounds like things have not gone as planned, but it sounds like you took it in stride and opted for plan B. Kudos mom. Hope Tink feels better soon. I am very sorry your little one got so sick and you and your loved ones had to go through all of that, but thank you for sharing what it is like to go to the ER at WDW. Although not an ideal situation and I am very sorry to hear that she was so ill. Sounds like Celebration Hospital was good to you and you let us in that Target is a good place to pick up medication. I hope she is feeling better. Thank you for a great blog. Oh my goodness, what an adventure! I'm glad it all turned out OK in the end. Girls' Trip Day 4: "The Lion King Show"
The Girls' Trip is Underway!